The Welcome Sign Is Up for De Novos — But Is it Enough? The FDIC put out the neon welcome sign to de novos in early April. In addition to cutting down the period of heightened supervision from seven to three years, the FDIC refreshed its answers to key questions and is developing a guide to the deposit insurance application process to increase transparency. This is clearly a priority for Chairman Martin Gruenberg, who told me personally that any prospective de novo would have a team of FDIC staff to help it through every stage of the process. This includes advising on the business plan and, importantly, setting out the regulatory expectations. Kudos to Gruenberg for devoting the necessary resources to help new banks navigate this process. It’s no small thing. Unfortunately, in spite of the welcoming gestures, the cost of admission remains extraordinarily high. Bankers I’ve talked to say the deck is still very clearly stacked against de novos. Start with the business plan. What’s the gap that needs to be filled? Consumer lending? Too many compliance pitfalls. Business lending? More realistic, but there’s already plenty of competition from other banks. Is the winning model national in scope, relying on technology for customer acquisition and retention, and focusing on non-interest income services? Is that a model regulators would embrace? Regulators view changing the business plan to be a failure of unrealistic expectations, but having no flexibility is a straightjacket that can lead to failure, too. Then there’s capital—a lot of it. The bare minimum is $15 million, and there’s talk of $20-30 million needed. This is many multiples beyond what (successful) banks needed in the past. Can the bank today earn enough to cover the cost of that capital? Great investment options don’t exist in today’s abnormally low-rate environment. But even with more normal rates and a steeper yield curve, can a new bank grow fast enough to cover investor expectations? Capital has to cover the large—and growing—infrastructure needed to deal with the regulatory and compliance obligations. These costs burn through capital and do little to generate the revenue needed to become profitable. A de novo bank will also need to make a substantial investment in technology to meet customer demands, requiring even more upfront capital. Could the de novo fund itself? Small dollar, local funding is ideal, but is that possible? Regulators look askance at de novos using national rate boards and brokered deposits, and paying rates well beyond the market always raises a regulatory eyebrow or two. Bottom line: Unlike most businesses that have to do more to gain customers, new banks can’t easily fund themselves, and certainly not by paying interest at a level high enough to attract depositors. Can the new bank compete? Capital hurdles, funding constraints and regulatory infrastructure are only part of the picture. Every bank knows the competition is tough among banks but even harder against tax-favored competitors like credit unions and the Farm Credit System, or new online marketplace lenders. Sure, de novos are risky. They have failed at twice the rate of other banks historically. They create losses for the FDIC (which banks fund). But most bankers believe that failures are part of a dynamic industry and that de novos are where many new ideas are born. The changes the FDIC has made are a very good beginning, but more can and needs to be done. It’s time to think differently to encourage new banks—by requiring less capital, reducing regulatory burden, permitting greater flexibility in business plans, and lifting funding restrictions. 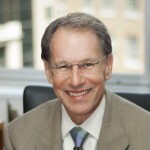 James Chessen is ABA's chief economist.